Memories fade with time, and that is why I love to have pictures to keep the memories of my favourite moments fresh. Each fall, my children and I “make a day of it” and go off in search of the perfect picture. Sometimes that takes us to the woods in search of leaves, the trails to feed the birds or to the local apple stand for some delicious snacks. Wherever we go, memories are made and amazing photos are captured ready to be put on a canvas from CanvasFactory.com. 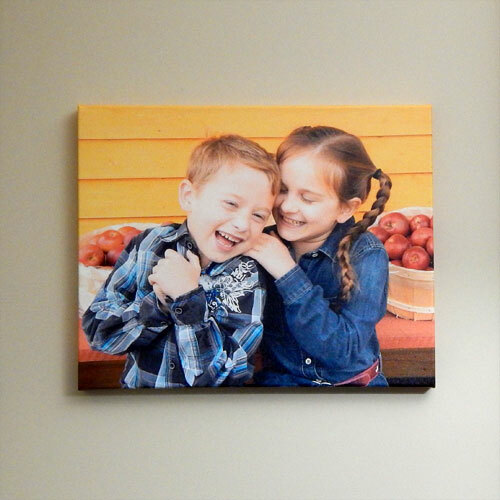 CanvasFactory.com lets me take my favourite moments in time and put them on canvas that is ready to hang. 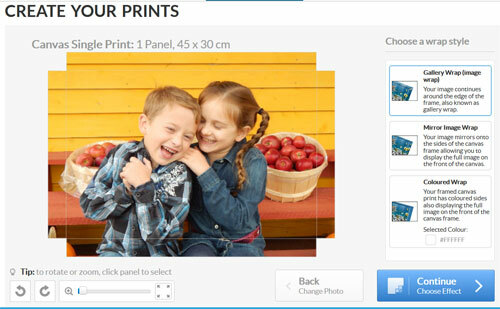 The entire process only takes a few moments, the hardest part is picking your favourite photo to use! Creating your perfect canvas is simple, after you create your account you can choose your material for the print: canvas, acrylic or HD metal. The process appears to be similar for each type of print. After choosing your your material you must decide on a style and add your photos. 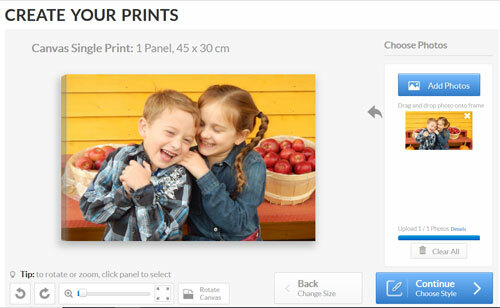 Canvas Factory will not allow you to upload an image that is too small, helping to ensure that you get the best print possible! You can choose to upload photos directly from your computer or photos from your social media platforms. For my large canvas, my social media images were too small and I had to upload a high resolution image instead. 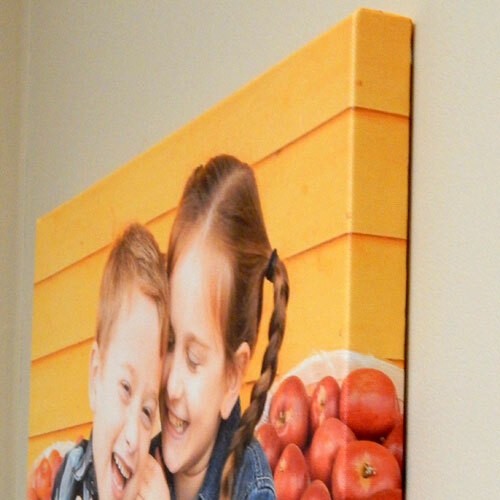 Several options are provided for your prints wrap style when you choose a canvas or acrylic print. Choose from gallery wrap image, mirror image wrap or coloured wrap. I chose a gallery wrap image. I love how the edges of the prints look when seen from the side. Next choose a print effect and add a text effect if desired. There are several effects to choose from and you can try them out before you decide. 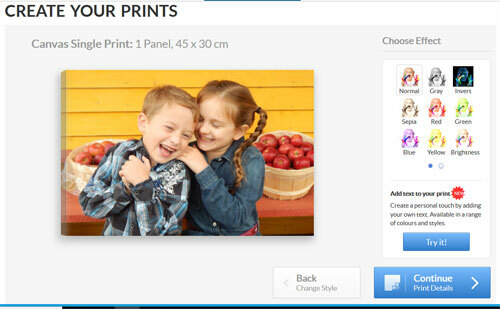 Finally click on Print Details to preview your canvas and add it to cart. The entire process only takes a few minutes to complete. My order arrived in less than 10 days and I must say I am so impressed! The colours are what stand out to me the most. CanvasFactory captured perfectly the rich fall colours of my image. The yellow, red and blues are all bright and stand out and are true to the original image. The quality of my canvas is excellent. 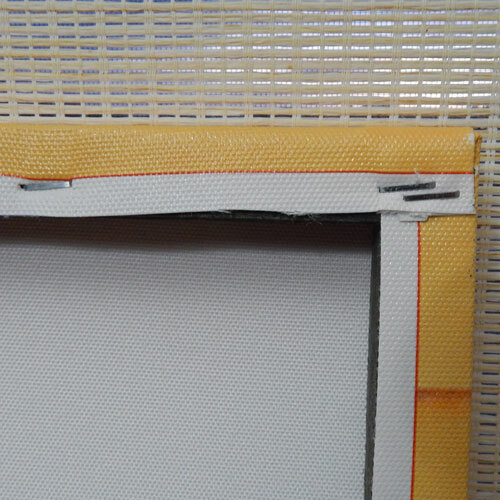 It is stretched tightly across the frame and securely stapled to stay in place. There is a metal tab available to hang your image. I love how my canvas looks hanging on my wall, and I look forward to creating more pieces of art for my walls! 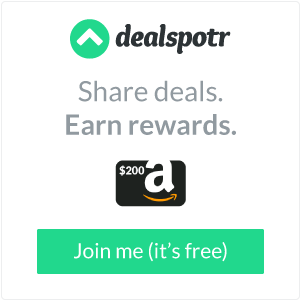 Get social with Canvas Factory on Facebook, Pinterest and website. Visit their blog for tips and inspiration to create a beautiful canvas for yourself. *Disclosure: I received a complimentary canvas from “CanvasFactory.com” in exchange for my review. All opinions are 100% my own.